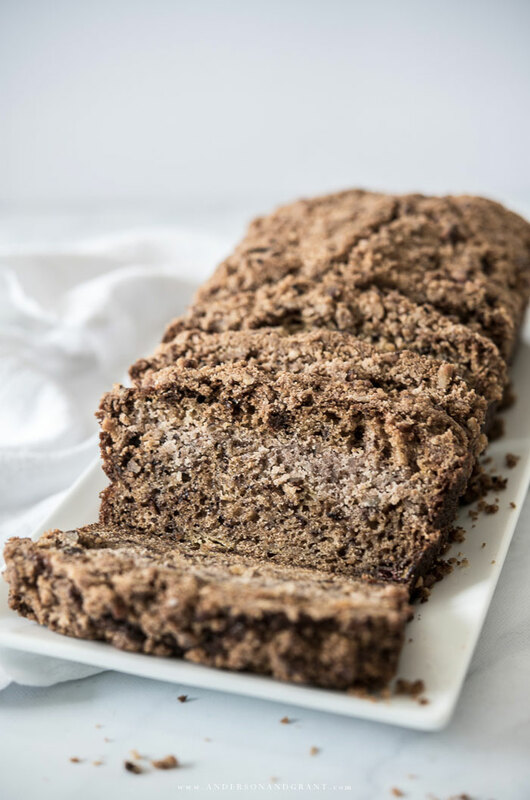 This recipe for Banana Bread is irresistible with the addition of an unexpected streusel topping over the ordinary bread made with overripe bananas. This month's issue of Martha Stewart Living has a whole section devoted to adding a unique spin to eight bakery classics like monkey bread, scones, and toaster pastries. I actually want to try almost all the recipes which excited me. If you see the April 2019 magazine on the newsstands, I definitely recommend picking it up. One of the recipes was for Banana Bread with Streusel Topping. While perusing the article at the dining room table, I realized that there were bananas sitting on the kitchen counter that were well past ripe, so it was the ideal time to try making this bread. The only thing I didn't have on hand was the buttermilk, but I've included a solution to that problem in the recipe below. The bread turned out so good! 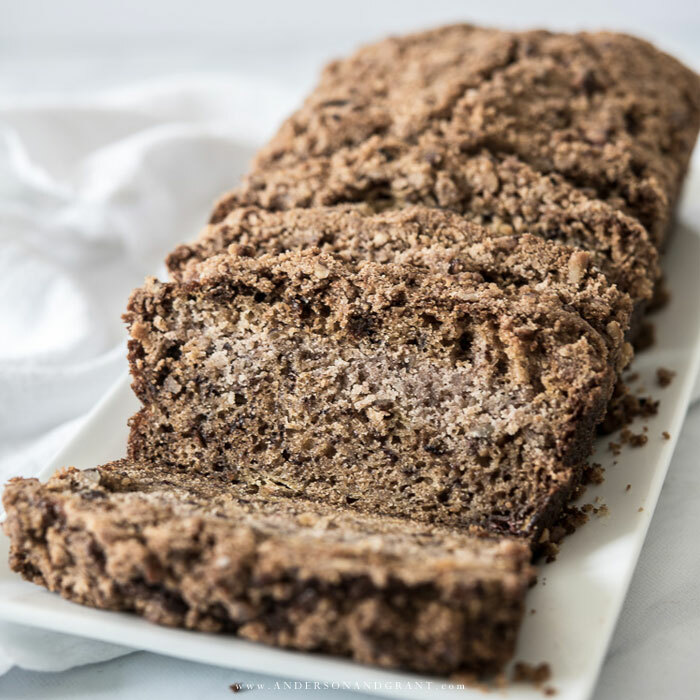 Who knew that there was a way to improve on a simple loaf of grandma's go-to banana bread?!?! The aroma of the bread baking in the oven was a welcome bonus, as well. 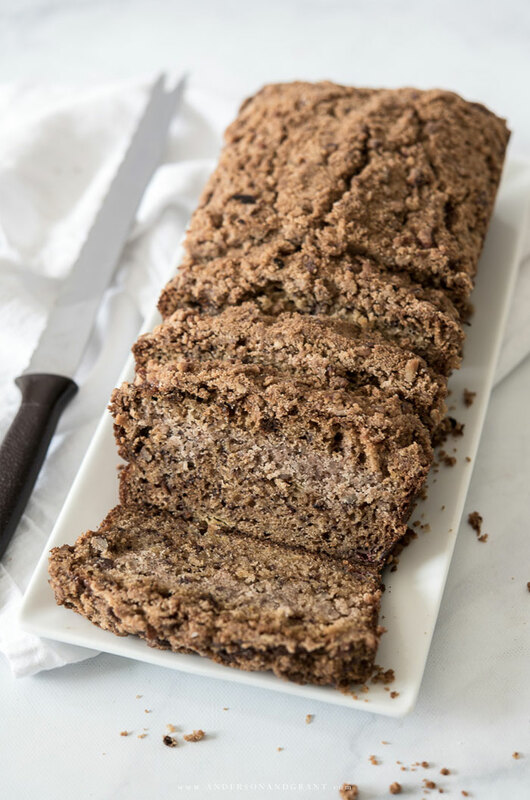 Banana bread is the perfect way to use up the fruit when it has become overripe while sitting on your counter. Rather than just throw them away, you can transform the bananas into something delicious for breakfast or a casual dessert. 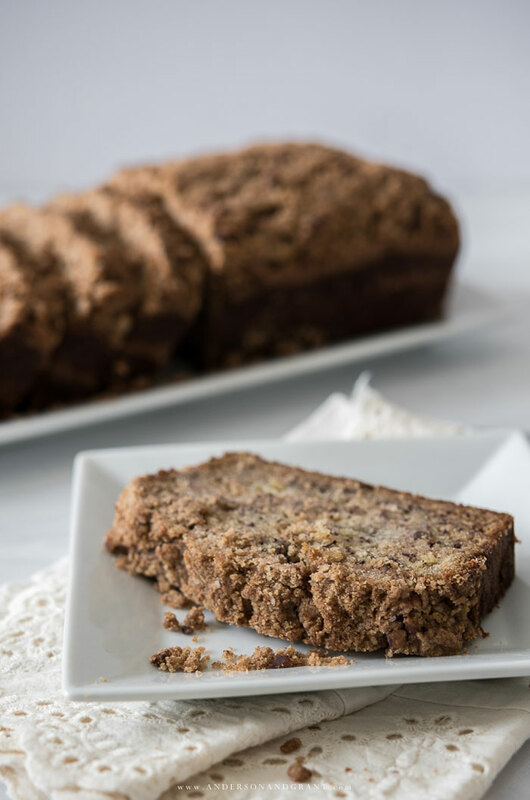 It is prepared with ingredients you probably already have in your pantry, so banana bread can be whipped up easily without a trip to the market. I found a few things hard to follow in the magazine version of the recipe and like I already mentioned, I rarely have buttermilk in the house, so I thought I'd make it a little easier to prepare and share it with you here today. I really want to help you be successful at making this exact recipe if it sounds good to you. 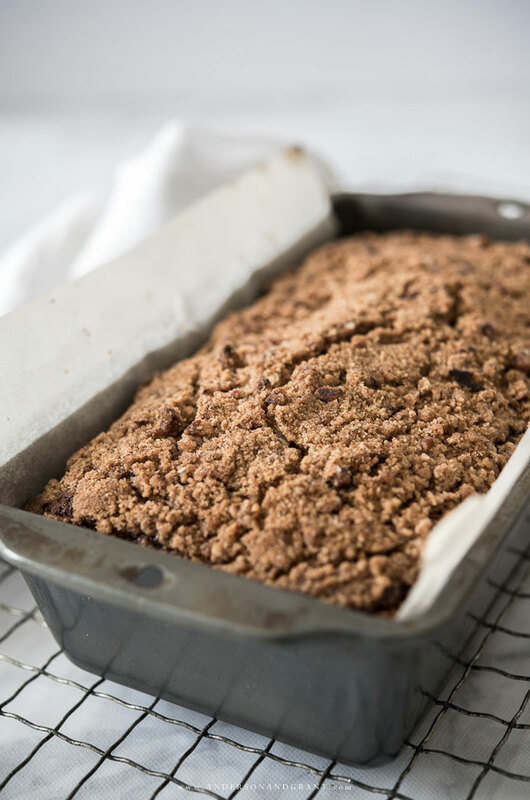 You could also transform your own favorite banana bread recipe with the same streusel topping outlined below. Don't have any buttermilk? Add 1 teaspoon distilled white vinegar or lemon juice to 1/3 cup regular milk and let it sit for about 10 minutes to thicken. Preheat oven to 350 degrees. Spray a 9 x 5 inch loaf pan with cooking spray. Line the pan with parchment paper that has a 1-inch overhang on the long sides. This makes it easy to remove the bread after it has baked. How to make streusel topping: In a bowl, combine flour, brown sugar, cinnamon, and salt. Add in the butter that has been cut into small squares. Use a pastry cutter to blend the butter into the other ingredients until you have small clumps form and the mixture is evenly moistened. Stir in the pecans. How to make the banana bread: In a large bowl, whisk together the flour, baking soda, and salt. Melt the one stick of butter on the stove, stirring to make sure that the butter doesn't burn. Add the melted butter into another bowl with the sugar, eggs, vanilla and buttermilk. Pour the banana mixture into the bowl with the flour mixture. Stir together just until combined. Do not overmix. Spoon half of the batter into the prepared pan. Sprinkle half of the streusel topping evenly over the batter. Add the remaining batter and then sprinkle the remaining streusel evenly over the top. Place your loaf pan on a rack in the lower third of your oven. Bake until the banana bread is golden brown and a tester inserted in the center comes out clean, about 1 hour and 20 minutes. If the top is browning too quickly, you can tent it with foil. 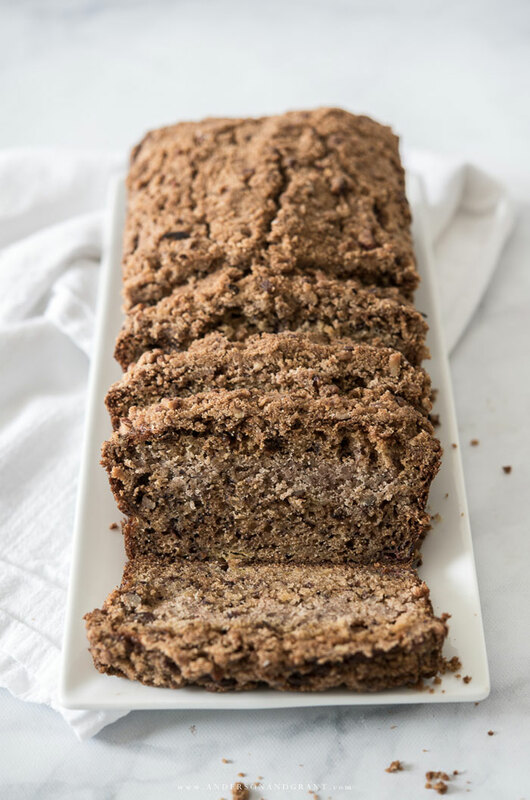 When the banana bread is done, remove it from the oven and let it cool on a wire rack in the pan for 20 minutes, then take it out of the pan using the parchment paper. Let it cool completely before serving. 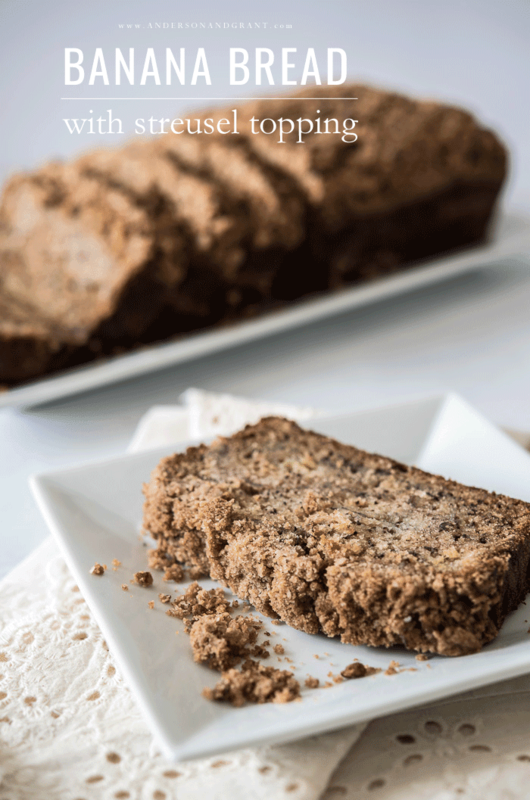 Serve this Banana Bread with Streusel Topping up plain or slather it with some butter. 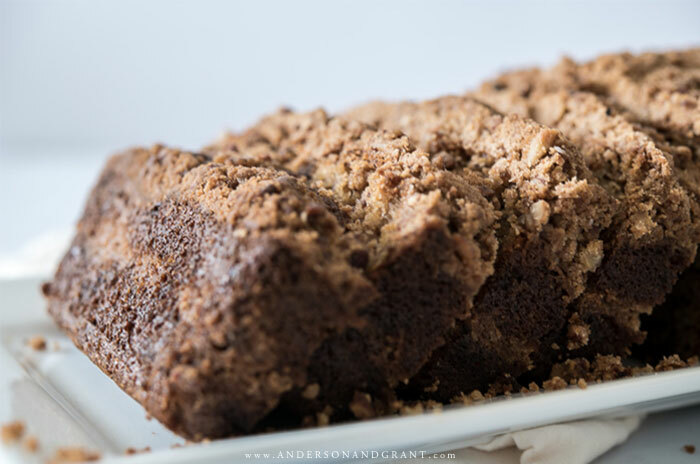 Either way it makes a tasty baked good to enjoy with coffee or breakfast or a simple dessert. Enjoy!